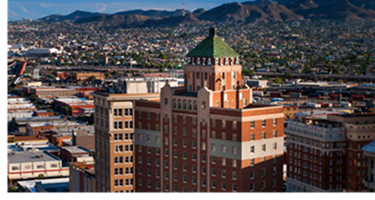 ​​​​ EL PASO – The Historic Landmark Commission approved plans for the restoration of the historic downtown Plaza Hotel, which has remained vacant for decades. Foster plans to turn the building into a more than four-star boutique hotel with at least 100 rooms. The building will include 6,500-sf of restaurant and bar space and 7,600-sf of function space. The Plaza Hotel, listed on the National Register of Historic Places, was completed in 1930. It was the first high rise in Conrad Hilton’s hotel empire and was designed by famed Southwest architect Henry C. Trost.